I just bought a pressure cooker and I LOVE IT. I’ve gone bonkers, trying out all sorts of recipes and even amending my own to suit it. Basically any recipe I have that requires simmering something for hours can go into the pressure cooker and simmer for 30 minutes. So. 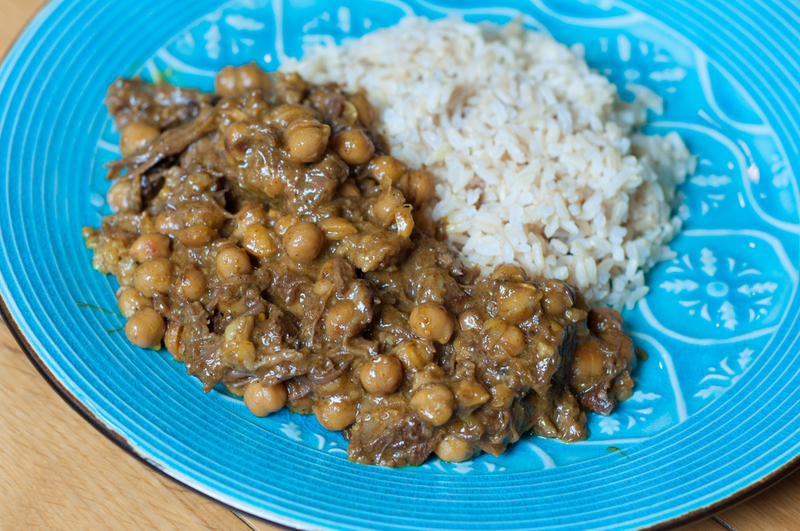 Oxtail curry. This usually takes hours to melt the collagen and get the tough meat meltingly tender. NOT TODAY. Put your pressure cooker on the stove on high heat. Heat up oil. Brown the oxtails on all sides. Add onions and cook until onions are soft. Stir often to keep everything from burning. Add garlic and spices. Cook for another 3 minutes. After 40 minutes, turn on the quick release and let the tasty smelling steam fill up your kitchen. Check on the dish. If it seems a bit too thin, simmer uncovered for a while until it thickens. Season with more fish sauce or hot sauce to your taste. This is super easy to lunch up. When cooled, I took all the meat off the bones and packed the stew in a lunch container with the rice on top, so that it wouldn’t soak up the stew during the day and get all soggy. Heat it all up in the microwave and ruin all your coworker’s day with your incredibly fragrant lunch, while they’re all eating sad sandwiches or packaged salads. Note on the pressure cooker: I use a combo of my induction cooktop and pressure cooker. The induction cooktop gives me say more control over the temperature than my electric stove, which goes on and off in order to keep the heat. If I tell the induction cooktop to do 150ºC, IT STAYS THERE. Induction cooktops are amazing, they boil water way faster than an electric range, making them my go-to for pasta.